If you are interested in submitting a PSA for consideration for airing and posting on SilverCityRadio.com please send it to us for consideration at least two weeks prior to your event. Call 575-538-3396 Fax: 575-388-1759 or Email: events@silvercityradio. The Tour of the Gila is looking for drivers to assist in the upcoming races scheduled for Wednesday, Thursday and Sunday, May 1st, 2nd and 5th. This is a great way to get involved first hand with the race and you don’t need to be a cyclist! There are several types of positions ranging from a LEAD to a SAG vehicle. Drivers will learn the ropes prior to the race and gas is paid for. Please call or text Michelle, at 575-590-0203. You can support the 33rd edition of the Tour of the Gila bike race, May 1st through 5th in Silver City by providing needed “Host Housing” to a rider. The benefits of this race are far reaching and positive for the community. For more information on becoming a host, contact Jess Beckworth at 575-590-4058 or send an email jessica@tourofthegila.com. WNMU Early Childhood Programs is now registering community children for the 2019-2020 school year. Children ages 8 weeks to 5 years of age are welcome. A nationally accredited and a 5-star licensed program Offers free New Mexico Early PreK and PreK for 3 and 4 year old children. Licensed Early Childhood Teachers use positive guidance strategies in a play-based environment. Meals are included at no charge. For more information, call 538-6344 or stop by 513 W. 12th Street. There is a Regular Meeting of the Silver Consolidated Schools Board of Education scheduled for Monday, April 15th at 6:00 P.M. in the Board Room of the Administration Building located at 2810 North Swan Street in Silver City. An agenda for the foregoing meeting may be obtained from the Office of the Superintendent or by visiting online at silver schools dot org. The Fort Bayard Historic Society Spring Movie Series titled “Trains, Rails, and Imagination: Hollywood and the Iron Horse” is featuring the film, “Breakheart Pass” on Thursday, April 18th at 7:00 P.M. at the Santa Clara/Historic Fort Bayard Visitors Center located at 11990 Highway 180 East in Santa Clara. Admission is free and open to the public. The Gila Native Plant Society meets on the third Friday of the month at 7.00 p.m. in Harlan Hall, second floor, Room 219, corner of Alabama and 12th Streets, on the Western New Mexico University campus in Silver City. Free and open to the public. Refreshments following the program. The Kiwanis Club of Silver City is holding their 6th Annual FREE Community Easter Egg Hunt on Saturday, April 20th from 9:00 a.m. to 12 Noon at Penny Park in Silver City. This free event features over 5,000 plastic eggs filled with candy, prizes and surprises, in addition to face painting, art booth for the kids, and photos with the Easter Bunny! Visit Kiwanis Club of Silver City on Facebook for egg hunt times according to age group. The City of Deming will be holding its Annual Community Easter Egg Hunt this Saturday, from 10:00 A.M. to 1:00 P.M. at Courthouse Park, located at 700 South Silver Avenue in Deming. There will be free prizes and photos with the Easter Bunny. Deming Animal Guardians Members and Friends will be meeting on Saturday April 20th from 12 noon to 2:00 P.M. at The Adobe Deli located at 3970 Lewis Flats Road Southeast in Deming. There will be a guest speaker and reporting of 2018 activities. Call Pat Danser, at 575-544-2209 for more information. The Permaculture Silver City group is meeting on Saturday, April 20th from 1:00 to 3:00 P.M. at the Silver City Visitor’s Center Conference Room, located at 201 North Hudson Street in Silver City. There will be topic discussions and a field trip to the Gough Park Orchard at 2:00 P.M. The Cobre Consolidated School District is holding Pre-K and Kindergarten Registration from 8:15 A.M. to 12:30 P.m. and 1:30 to 4:00 P.M. at the following Elementary Schools: Bayard Elementary on April 23rd; Hurley Elementary on April 24th; Central Elementary on April 25th; and San Lorenzo Elementary on April 26th. Please bring your child’s birth certificate, immunizations records, proof of residency, and water or electric bill. There will be a “Sustainable Ranching Panel Discussion” on Thursday, April 25th from 12 noon to 1:00 P.M. at the Silver City Museum Annex located at 312 West Broadway in Silver City. Learn about ranching and the environment with practitioners right here in Grant County. Local ranchers and conservationists will discuss ranching and stewardship practices that sustain the land and the ranching livelihood that depends on it. The Luna County Early Childhood Coalition will feature guest speaker, Kate Noble, from the New Mexico Early Childhood Development Partnership on Thursday, April 25th at 1:00 P.M. at 1321 East Poplar in Deming. The discussion will focus on Senate Bill 222 and how it will impact all programs providing services to children 5 and under. The American Legion Post 18 is hosting a Pancake Breakfast on Saturday, April 27th from 8:00 to 11:00 A.M. at the American Legion Hall located at 409 College Avenue in Silver City. The cost is $5 for all you can eat pancakes, with sausage and a beverage. In addition, the Ladies Auxiliary will be holding a Bake Sale. This event is open to the public. Bring your unused or expired medications to National Take Back Day on Saturday, April 27th from 10 AM to 2 PM at Silver City Walmart Super Center, located at 2501 Highway 18 For more information call 575-597-0025. National Drug Take Back Day is sponsored by the Silver City Police Department, New Mexico Department of Health, Grant County DWI Program, the Youth Substance Abuse Prevention Coalition. The Grant County Court Appointed Special Advocates Program for Children (CASA), in collaboration with the Kids in Need of Supportive Services Program (KISS), is hosting a “Child Abuse Awareness and Prevention Event” on April 27th, 11:00 A.M. to 3:00 P.M. at the KISS building located at 1120 West Street in Silver City. Come and enjoy food, music, games and plenty of prizes and bike raffles. The event is free and open to the public. The Teen Academy for Health Sciences is accepting applications now until April 29th. This free summer academy is open to high school student in southwest New Mexico and runs from June 5th to the 26th. Space is limited and some eligibly requirements must be met. Call FORWARD New Mexico for details at 575-597-0030 or visit s w c h i dot org. Hidalgo Medical Services is hosting a FREE six session parenting program titled, “Parenting the Love & Logic Way”, every Thursday beginning May 2nd , running through June 6th , from 5:30 to 6:30 P.M. at the HMS Silver City Community Health Care Center in Conference Room 2, located at 1007 North Pope Street in Silver City. The program is designed to give parents practical skills that can be used immediately. Contact Donna Sandoval, Care Team Coordinator, at 575-597-2424. Child care is not provided. The public is invited to the Luna County 14th Annual “Celebration of Life” on Saturday, May 4th from 8:00 A.M. to 12 noon at Voier’s (Pit) Park located at 300 North Country Club Road in Deming. There will be vendors, food and prizes, in addition to a walk “in Honor of” or “In Memory of” a cancer warrior. There will be a presentation titled “America’s Wild Horses” scheduled for Friday May 3rd at 6:00 P.M.. and Saturday May 4th at 11:00 A.M. at the Unitarian Universalist Fellowship Meeting House located at 3845 North Swan Street in Silver City. This presentation is sponsored by the Jicarilla Mustang Heritage Alliance, a non-profit organization. For more information, call Laurie Ford at 575-539-2503. The Cobre Consolidated School District is conducting “Child Find Screenings” available for parents with concerns about development of their children ages 3 to 5. The screenings will be available on Monday, May 6th and Tuesday May 7th from 10:00 A.M. to 6:00 P.M. at the Bayard Training Center. For more information, call the Cobre Department of Special Education at 575-537-4017. PFLAG Silver City will be meeting on Tuesday, May 7th at 7:30 P.M. at the Unitarian Universalist Fellowship, 3845 North Swan Street in Silver City. Members of the LGBTQ community and straight allies will tell their stories of coming out. The public is invited, and refreshments will be served. Call 575-590-8797 for more information. Widowed and Single Persons of Grant County monthly meeting is Monday May 13th at 10:30 am at Cross Point Assembly of God Church, located at 11600 Highway 180 East. Judy O’Loughlin, will be talking about little work gardening. Cost for lunch is $12. All singles are welcome. For information call 575-537-3643. The Annual Silver City Blues Festival, will be held on Memorial Day Weekend, May 24th through 26th at Gough Park in Silver City. The event brings national and international performers to the stage in addition to bring their families to the park for fun, music, arts & crafts and great food. The deadline for booth and vendor applications is March 15th and are available at silver city blues festival dot org, or by calling 575 538 2505. The “TOPS” Take off Pounds Sensibly Chapter #0288 meets on Thursdays at 5:30 P.M. at the First Presbyterian Church located at 1915 North Swan Street in Silver City. Come meet the members, get tips on getting started and think about joining us to make your life healthy. For more information, call 505-934-1182. Adult Computer Literacy Classes are being held at the Bayard Public Library from 10:00 A.M to 1:00 P.M. every Tuesday at their location at 1112 Central Avenue in Bayard. Topics include Microsoft Word, basic computer skills, email, online job applications and more. The classes are free of to the public. For more information, call 575-537-6244. Would you like to socialize, share, or learn more about fiber arts? If so, attend the monthly gathering of the Luna County Fiber Arts Group at 10 A.M., at the Luna County Extension Office, located at 210 E. Poplar Street in Deming. The group meets at the same time on the third Tuesday of each month. The Deming Quilting Bees Club will be teaching beginning sewing classes for adults and children on the third Saturday of each month starting on January at the Deming Art Center located at 100 S. Gold Street. The classes will be from 10:00 A.M. to noon and supplies will be furnished. Call 575-546-3663 for more information. A $10 deposit is required at registration and refundable if you attend. There is free help for non-profits or those considering to organize one by the Nonprofit Resource Group located in Silver City at College Plaza Suite #16, every Wednesday by appointment only. For more information, call 575-597-0035. Doing you have a problem with food? Overeaters Anonymous meets at 2:00 p.m. on Thursday at the Deming Senior Citizen’s Center, 800 S. Granite Street in Deming. For more information, call Erin R. at 760-447-7474. The Silver City Public Library is offering Kids Storytime and Babytime Sing and Play on Wednesdays at 10:30 A.M. and 1:00 P.M. Join in for stories, songs and rhymes, movement, and simple crafts. Storytimes are designed for children ages 0-5 and their caregivers, and Babytime for infants 0-24 months and their caregivers. These are free programs and no registration is necessary. Call 575-538-3672 for more information. The New Mexico Department of Transportation (NMDOT) along with TLC Construction will be reconstructing the roadway on Highway 15 from Mile Post 0 to 1.21. They will be installing curb and gutter, sidewalk and bike lanes. Detours will be in place and traffic is asked to reduce speed and use caution, seek an alternate route if possible. Hours of operation will be from 7:00 am to 5:00 pm Monday to Friday. Construction is scheduled to begin at the end March and will be completed by spring of 2019. The Santa Clara Public Library is now open at 105 North Bayard Street in Santa Clara with the entrance at the rear of the City Hall Building. Hours of operation are Monday and Wednesday from 9:00 A.M. to 12 Noon, Tuesday and Thursday from 3:00 to 6:00 P.M and Friday from 9:00 A.M. to 3:30 P.M. There are hands on activities for the kids, storytime, and Maker Space fun math and science activities. Call Neta Pope at 575-313-1992 for additional information. The Lordsburg Hidalgo Library always has a calendar full of children’s activities! Each Wednesday morning from 11:00 to 11:30 A.M. pre-schoolers can come hear a story and participate in an activity. There are after-school programs on Mondays, Tuesdays and Thursdays from 4:00 to 5:00 in addition to art activities on the 2nd, 4th and 5th Fridays of each month. Visit lordsburghildalgolibrary.com or additional information. Don’t forget, the Grant County Veteran’s Memorial Business and Conference Center is available for parties and events. The Grant County Veterans Memorial Business and Conference Center is managed for Grant County by the Silver City Grant County Chamber of Commerce. Call 575-538-3785 or send inquiries to info@silvercity.org. 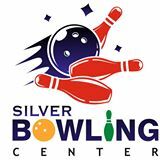 This has been your community calendar brought to you by the the Silver Bowling Center—come enjoy affordable family fun for all, open 11 to 11, 7 days a week. If you are interested in submitting a PSA for consideration for airing and posting on SilverCityRadio.com, fax or email your request to events@silvercityradio.com at least two weeks prior to your event. Do you have a girl who would like to belong to some great girl service organization? For information on how to enroll in Girl Scouts, call Annette, 538-2481. The Silver City Public Library, offers Storytime for children ages 0-5 and their caregivers every Wednesday at 10:30am, The Silver City Library is located at 515 W. College Avenue, Silver City. Join in for stories, songs and rhymes, movement, and simple crafts. This is a free program and no registration necessary. Contact the library at 575-538-3672 for more information. The Silver City Library offers a kid’s Future Engineers program every Wednesday from 4:00 to 5:00 P.M. This activity is geared towards kids ages 6 through 12 and features creative construction and experimentation fun with LEGO® bricks, K’NEX®, Strawbees, circuit kits, and more! This is a free program and no registration necessary. Contact the library at 575-538-3672 for more information. The Puppy Dog Ranch has dogs available for adoption. Puppy Dog Rescue and Sanctuary, a non-profit charity, offers adoptable dogs that are leash trained, spayed/neutered, current on shots and tags and socialized to be around both children and adults. To make donations or to visit them, call 313-7232. HIV Support Group for personal support and information as well as for friends or family. Meets every Monday at College Street Plaza Suite #5 from 5:30 pm till 7:00pm. Sponsored by LGBT Grant County. For more info call Ted: 575.654.3851. Kiwanis Club of Silver City meets every Tuesday in Silver City from noon to 1p with special luncheon speakers at the meeting room at “Wranglers” Bar & Grill, located at 2500 Hwy 180 East in Silver City. The first Tuesday of the month, during the school year, is the Kiwanis special Student of the Month recognition where ten schools bring one, special student to recognize. All are welcome to attend any Tuesday meeting. Contact Silver City Radio for more information on event locations. Kiwanis is a service organization dedicated to serving children, one child at a time, in one community at a time. Kiwanis Club of Silver City presently offers in our area Terrific Kids in 10 elementary schools, Student of the Month in 10 schools, K-Kids in 1 elementary school, Builders Club in 2 middle schools, Key Clubs is 3 high schools, CKI at WNMU, and Aktion Club. Membership to Kiwanis is open. Call Club President, Alma Carson, 575-538-3787, for more information. The Deming Public Library offers a free program for adults with special needs. Join them every Tuesday at 1 pm for crafts, bingo or a movie. The Silver City Public Library offers Babytime Sing & Play every Wednesday at 10:30. Join in for free stories, songs and rhymes, and movement for infants 0-12 months and their caregivers. Call 538-3672. The Silver City Public Library offers Future Engineers every Wednesday from 4 to 5 pm. Children ages 6-12 are invited for free to creative construction fun with Lego, K’NEX and Strawbees. Call 538-3672. The Silver City Public Library offers WildWorks, Youth Space every Thursday at 4 pm. Children ages 10 and up are invited out for free to hang out, experiment, create and more, including robots, electronics, games, crafting, 3D drawing, photo editing and programming. Call 538-3672. The Audubon Society meets the 1st Friday of the month at 7 pm at Harlan Hall on the WNMU campus. For more information call 388-9221. The Silver City Woman’s Club meets at 10:30 am on the second Friday of each month. The Woman’s Club is a service organization dedicated to serving the Community by supporting the local Girl Scout Council, offering WNMU scholarships, and providing hearing tests. The Club is located at 411 Silver Heights Blvd. The American Association of Retired Persons (AARP) meets every 3rd Monday at 12:30 pm at the Silver City Senior Center. For more information call 388-1298. The Gila Native Plant Society meets the 3rd Friday of the month at 7 pm at Harlan Hall on the WNMU campus. For more information call 388-9221.